And then he goes on to talk about the FBI is in tatters. This involves the Mueller investigator named Peter Strzok. (Some say Strzok. It’s S-T-R-Z-O-K.) This is the guy who ran the Hillary Clinton email server investigation. He was a married Hillary supporter — conducting an adulterous affair with a government lawyer — dissing Trump. 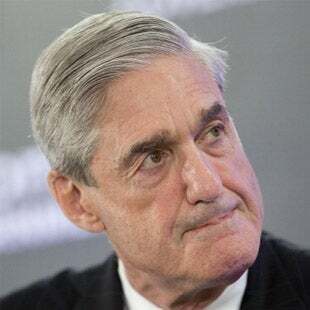 This guy was running the Hillary Clinton email server investigation, Peter Strzok, was a married Hillary supporter, and he turned into a chief investigator for Mueller. Mueller had to let him go this past summer because of his anti-Trump tweets with people. But we didn’t learn about this when it actually happened. We learned about it months later. Ari Fleischer made a good point in a tweet. “These anti-Trump text messages,” what this guy was conveying to people, “should be released. The public should be able to judge for themselves the extent of how anti-Trump the messages were and what they could mean for Mueller’s investigation. Why keep them secret?” Damn straight right! We have an investigator to anti-Trump that he’s texting people about it. He worked on the Hillary email investigation. He’s also the guy who was okay with the FBI not investigating the DNC’s hacked server. He was fine with that. The guy’s a total full-fledged partisan, and Mueller had to let him go because it was discovered how partisan he was operating. Every one of Mueller’s investigators is partisan, folks. In fact, there’s probably not an FBI investigator who isn’t, if they’re worth their salt. I mean, they’ve gotta be thinking, engaged people. They’ve gotta have political opinions. But this guy was letting that impact his work to the point that Mueller had to let go of him. We need to see what he was tweeting other being texting. We have every right to it, it would seem to me. These are the investigators. The guy had to be let go. So Trump has decided to tackle the FBI, among many other strategies that he is employing here. Of course, when this happens — when Trump starts tweeting or when other people treat in Trump’s behalf — they decide in the swamp to start questioning Trump’s judgment. They start questioning his mental stability. But remember that story I just had on the percentage of Trump supporters who think the media’s the enemy? Why do you think that is? It’s two-pronged. The media is a primary player in that, but it’s also because of Trump’s tweets. Trump’s tweets (aside from programs like this) are the only place people can get that perspective on the media. But when he starts tweeting like this against sacred institutions, you can bet that they’re gonna start questioning his judgment, his mental stability and all that. Now, if Trump knows — and this is a big if, but I’m talking about Trump’s the state of mind here. If Trump knows that there is no real illegality that jeopardizes his presidency, if he knows that he hasn’t credited any criminal acts that jeopardize his presidency, then he also knows that he is fighting an illegitimate political lynch mob. These two things are linked. If Trump knows — if his lawyers have told him, if he thinks — that he hasn’t done anything that warrants this investigation, then he has to believe that the investigation is illegitimate and political. A political mob is conducting a silent coup out to impeach Trump. It’s a political process. It’s not a criminal process. This is a political process. It requires votes, not indictments. It requires votes, not guilty pleas. Every day pressure from the media, pressure from Democrats. Pressure from the deep state is brought to bear on both the public and Republicans in Congress. Now, if Mueller doesn’t have the goods, Democrats have to create a narrative that Trump is crazy, or they have to start accusing their own side of sexual harassment and having these guys drop like flies so they can go after Trump on that. He’s a wanton abuser or he’s unstable. “His policies kill people. He’s unfit.” They have to go after Trump politically; Trump is choosing to respond in kind. There’s more on this. I gotta go, though. RUSH: Now, I want to get back to what Trump is up against here, because it has become apparent to a lot of people — you know, Dianne Feinstein is now saying that in the Senate their investigation into Trump-Russia collusion has become an obstruction of justice investigation. And I think that’s what Mueller is. Mueller has always been an investigation leading to impeachment, not crime. We’re not looking here at an investigation that’s gonna lead to an indictment by a grand jury that will then have trials with evidence placed before a jury where guilt or innocence is concerned. This is obviously a collection of evidence, obstruction of justice. They’re gonna try to nail Trump on this and have that lead into impeachment proceedings. 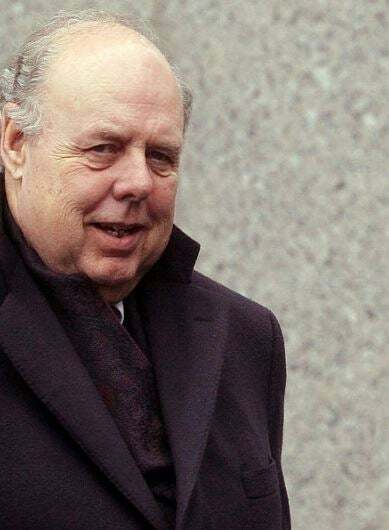 Now, this has caused one of the president’s lawyers, a man named John Dowd, to tweet out that a president cannot be guilty of obstruction of justice because he runs the executive branch and as such is entitled to know everything going on there if he wants and can fire anybody he wants at any time. Which legally he can do. Politically, of course, there are consequences for this. Now, Andy McCarthy, who, by the way, I’m gonna be interviewing tomorrow afternoon after the program for the next issue of The Limbaugh Letter, specializes in a number of subjects. This is one of them. He’s written a book on impeachment, referring to it. It was back during the Obama days, that impeachment is a political act and therefore requires the will of the American people to succeed. It’s not legal even though high crimes and misdemeanors. The Russian collusion angle, there isn’t any collusion, there isn’t any evidence and yet this investigation’s ongoing, and it turns out that the investigation is attempting to criminalize a presidential transition. Now, what is happening here, in my humble opinion — and I’m not alone in this, and I’m not saying this for the first time — I think there is and has been, ever since Trump was elected, a silent coup to get him out of office ultimately. And before that is realized, they want to totally discredit Trump. They cannot stand that an outsider has come in and become the most powerful man in the free world. They literally can’t stand it. The taste in their mouths is rancid, and they’ve got to get rid of it. This is such an affront to them intellectually, personally, and so forth. Trump has to go. And it doesn’t matter party affiliation, Republicans and Democrats alike who are members in good standing in the swamp, mostly agree that we can’t abide them, we just can’t have an outsider come in, elections notwithstanding. So what we have here, folks, is, when you strip it all away, an attempt to invalidate a duly constituted presidential election. They first tried to get public opinion revved up against Trump on the concept of colluding with the Russians to alter the election. That didn’t work. Because there never was any collusion, there never was any evidence. They tried to even manufacture evidence with a phony, fake Trump dossier, but even that wouldn’t move public opinion. So now they’re on to obstruction of justice leading to impeachment, and it is the conclusion of many learned legal minds that the guilty plea of Michael Flynn confirms what this is, that it is the fact that the collusion probe is over. So if you look at Flynn copping a plea for lying to the FBI in the context of collusion, you’re missing the boat. That’s not what this is about. They’re gonna keep talking about it. They will continue to use it as cover for what they’re really doing. But Mueller has no constraints. Remember, when he was impaneled by the deputy attorney general, Rosenstein, there was no limit on his direction. There was no crime elucidated for him to pursue. This is wide open; he can go look for anything anywhere that he wants. The guilty pleas he’s got, the indictment have nothing to do with the presidential campaign. You know, Manafort and this other guy. They’re in legal jeopardy for things that happened long before they even became part of the Trump campaign. So that thing has fallen apart. So where we’re at now is that this is an impeachment investigation. And just to review how we know this, look at Flynn and what he copped a plea to. He copped a plea to lying to investigators. He didn’t cop a plea to being part of a scheme to tamper with elections. The whole premise of this thing he didn’t plead guilty to. Now, if a prosecutor has an accomplice cooperator, which is what Flynn is, who gives the government incriminating information about the scheme that’s under investigation, then that’s half your case won. If you’ve got somebody participating in the scheme who pleads guilty to a charge who then has to go allocute before a judge as part of the plea deal, and in the process if your cooperator explains the scheme, such as, “Yes. President Trump and I eagerly worked with Vladimir Putin to steal the election from Hillary Clinton,” if you got a cooperator who will testify to that, your case is home free! You’ve got a guy who has to tell the truth or he can go to jail for lying for this; and he becomes the expert witness. But that is not what happened. No scheme was admitted to by Flynn, because there isn’t one. Flynn admitted lying to investigators. The guilty plea allocution in which the accomplice explains to the court what he and his coconspirators did to carry out the scheme, that puts enormous pressure on the other accomplices, because you’ve got an accomplice flipping, and everybody else involved knows they’re toast. But again, that’s not what happened. So people who are not quite right on what’s going on are saying, “Mueller’s admitting he doesn’t have a case. Mueller’s admitting he’s got nothing. This is a bad thing.” That’s not what Mueller’s admitting, because that’s not where Mueller’s going. The practice of pressuring a guilty plea to the major charges in the scheme make the accomplice a formidable witness. If you’ve got somebody participating in the scheme, in this case to corrupt the election, why, there’s your case and there’s your witness. But Mueller’s chief witness has admitted to lying. Mueller’s chief witness is an admitted liar! That’s what he copped to! So it would be foolish to use Flynn in the collusion case, A, because there isn’t one, B, he’s damaged goods. So that changes dramatically what is going on here. Since there’s no collusion case, the only assumption is that Mueller is trying to obtain an obstruction of justice case against Trump, not just underlings. And even then, obstruction of justice is a process crime. It occurs during the course of the investigation. Obstruction of justice is not the crime. Obstruction of justice occurs investigating the crime. So it also is a process crime. That means it relates to the interference in the investigation of an underlying transaction that may or may not be criminal. Mueller’s theory, according to Mr. McCarthy, appears to be straightforward. The FBI was investigating Russian meddling in the election and the possibility of Trump campaign complicity in it. Even though Michael Flynn’s interactions with the Russian ambassador did not amount to Trump campaign collusion, they did show that the Trump transition was dabbling in foreign relations with Putin regime, which, of course, is perfectly fine if it’s occurring during the transition and you’re using it to set up relationships ongoing. But if you’re attempting to undermine the sitting or current administration’s foreign policy, why, then they might have something. And that’s where they’re headed. They’re gonna try to turn Flynn’s phone calls with Kislyak into an attempt to undermine Obama’s sanctions policy on Russia and get Trump on obstruction of justice by firing Comey because Comey was on to what’s going on. That’s it, in a nutshell. I mean, it’s gonna be more involved. So Mueller would theorize that Flynn had a motive to lie about his contacts with the Russian ambassador and because Flynn was taking direction from Trump transition officials, Trump had a motive to make the FBI’s Flynn investigation disappear. This is all assumption, and this is what they’re now trying to nail, I think. The motive, according to the theory, explains why Trump pressured Comey to drop the Flynn investigation and why he fired Comey the very next day. Remember, he had Russian diplomats in the Oval Orifice, and he told them he fired Comey because of Russia. So it’s an impeachment case. That’s where they’re headed with this. So let’s assume here, let’s assume the worst. Let’s assume — and we’re just assuming here, because this is what Mueller and the rest of these clowns would love to be the case. Let’s assume that Trump did know that Flynn had lied to the FBI, which means Flynn had committed a felony, even though it’s just a process crime. So we’re assuming the worst. Trump knew that Flynn had lied to the FBI, and he leaned on Comey to close the investigation ’cause Flynn’s a good guy, he never hurt anybody. But, folks, Mr. McCarthy tells me that even assuming the worst here, there still is no obstruction case, even as I’ve laid it out here. Even if Trump knew that Flynn had lied and leaned on Comey to shut the investigation down, there is still no Trump obstruction. The FBI, the Justice Department, are not a separate branch of government. They are subordinates of the president delegated to exercise his power, not their own. And even on Comey’s account, Trump did not order him to shut down the investigation, the Flynn investigation. But he could have! Trump can do what he wants. Politically there are consequences, but legally he could do what he wants. He could have pardoned Flynn. He still could pardon Flynn. That would have ended the criminal investigation the FBI was conducting. And there would have been no possibility of review. If Trump pardons Flynn, it’s over! Now, you might say that would be a really low ball thing to do, damaging national security, damaging Trump’s reputation and image. But the point of this is the president has the undeniable power to do all of this. He had the undeniable power to fire Comey. You can argue about his reasoning being incorrect or unprofessional or haphazard, but it doesn’t obscure the fact that he could do it. He could do it because it was Tuesday and he didn’t like the pizza he had for lunch. He could do it for any reason he wants. The president had undeniable power to fire the FBI director. The president may not be prosecuted in a criminal judicial proceeding for exercising his discretion, however objectionable it might be, if it’s in executive matters over which the courts have no power of review. And they don’t. Trump fires Comey, the courts don’t have a say in it. That’s the judicial branch. It’s not their area. 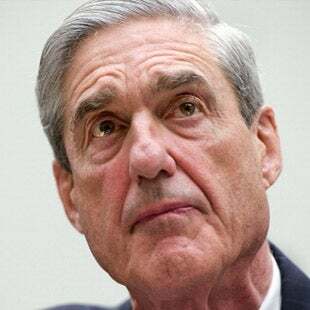 If Mueller tries to indict Trump, Trump would have unfettered discretion to fire Mueller and to direct the Justice Department to drop the case. He can do all of that. People may not like it, thinking it’s politically stupid to do if he did it. Now, any power can be abused. And when executive powers are abused, Congress retains congressional authority to impeach and remove. Obstruction of an FBI investigation may not be prosecutable in court, but if you look Nixon and the Clinton situations, they’re impeachable if you can make the case in the trial at the Senate. “I had to fire General Flynn because he lied to the vice president and the FBI. He has pled guilty to those lies. It is a shame because his actions during the transition were lawful. There was nothing to hide!” Now, Dowd says he tweeted that, not Trump. So it’s a distinction between Trump tweeted and a Trump tweet. Sometimes other people compose Trump tweets and they send them to Dan Scavino, who runs the social media office in the White House, and he posts them. And Dowd says that he, Trump’s lawyer, wrote this tweet. Trump did not write this: “I had to fire General Flynn because he lied to the vice president and the FBI. “He has pled guilty to those lies. It is a shame because his actions during the transition were lawful. There was nothing to hide!” Now, again, Andy McCarthy: “Let’s put aside the serious constitutional (and practical) issue of whether a president may be prosecuted in a judicial proceeding for obstruction.” Put aside Dowd’s point for a moment. “The question of whether Trump obstructed the investigation does not rise or fall on whether Trump knew that Flynn had committed a crime…” That doesn’t matter. “Nevertheless, it is obviously a more serious matter for a president to urge the dropping of a case against a friend [Flynn] known to have committed a crime rather than merely suspected of having done so.” So while Dowd may be technically correct that a president cannot be found guilty of obstruction of justice, we’re not talking about in a court of law. We’re talking about impeachment. And when everybody knows this investigation is headed toward impeachment on obstruction, impeachment’s a whole different ball of wax. “High crimes and misdemeanors” are whatever the House managers think they can prove in the Senate. And if they think they can obtain a conviction in the Senate by positing that Trump was trying to impede an investigation to prevent the FBI from finding out whether there was a crime by getting rid of Comey, that’s different than in a court of law. McCarthy’s point is, you’d think Trump’s lawyers would know better than put this out there like they’re doing, and that he’s not being well served by his lawyers. That basically is where this all is going. Here’s, I think if you the strip everything away. The thing to understand is what they’re now pursuing at the special counsel is an impeachment based on obstruction of justice. And we’re not… If the House, which is now run by Republicans… You know, if Mueller brings his case to the House — which he can do — and if he can recommend that the House start impeachment proceedings, the House can say, “Okay.” Or they can say, “Screw it! We’re not going to.” The politics of all this is gonna determine it. If, for example, the House Republicans, majority think that there is overwhelming public opinion hold Trump accountable, they will do it. If Trump’s base doesn’t abandon him, if Trump’s supporters are all-in and the Republicans are holding solid behind Trump, then they probably won’t do it. Although the temptation is gonna be great, because it’s swamp versus outsider. In my mind, what’s really going on here is a silent coup. 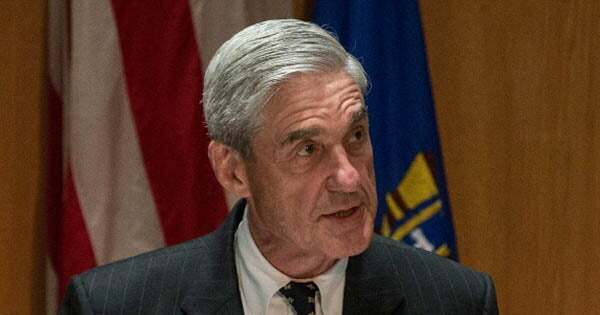 It’s no different than what we had suspected from the get-go, that this whole thing has been a sham, that there is no collusion, that there never was any collusion, that the special counsel was impaneled and given his charge here in violation of Justice Department regulations, which require a crime. You cannot, according to regulations at DOJ, appoint a special counsel without there being a crime to investigate. In this case, the deputy AG let Mueller investigate the world in search of a crime. The best they can come up with is that Michael Flynn lied while being investigated, and this might propel them to being able to go with an obstruction case that would lead to impeachment. This case has always been about impeachment, not indictments and guilty verdicts in a court of law. Which makes it a matter of pure, total politics. And they’re going after Trump on a false premise. They’ve got everybody ginned up here on a false premise of collusion. So they’re trying to keep the fact that they’re look at that alive, when in truth what they’re going for is obstruction of justice. Keep a sharp eye on this as it goes forward. When it comes to collusion, Mueller has nothing. Dershowitz is right. Mueller’s got absolutely nothing. Nobody has anything because there wasn’t any. So now, they’re all into process crimes. Remember, obstruction of justice is itself a process crime. There wouldn’t be any of this without that phony, fake, lying premise that Trump colluded with the Russians, which makes all of this bogus. All of it! Every bit of it is bogus! Every supposed irregularity has occurred here within the process of this investigation that never had anything that was rooted in reality, collusion between the Trump campaign and the Russians. Brian Ross’ story on Friday proves it because he puts out a story that Trump as candidate instructed Flynn to talk to the Russians and do whatever and had to retract it, saying (paraphrased), “Sorry. My source got it wrong. It was while Trump was president-elect,” which makes it the transition, which makes it perfectly fine. No crime whatsoever. So now they’re trying to politicize presidential transitions under the premise that Trump was trying to undermine Obama’s foreign policy. There’s no evidence of that, either. This is a total sham, and they’re now trying to get Trump on obstruction of justice — a process crime that would not have occurred had they not started down the phony road of collusion with Russia and the elections in the first place! The whole thing is manufactured! And they sold it well, and they made everybody think that there was some evidence. Remember all those deep state, anonymous quotes — CNN, New York Times, Washington Post — for over six months? Remember all of the allusions, all the special panels, all of the cable TV investigations? Nothing! The phony Trump dossier. Nothing that was true! All of this is happening because the establishment was unhappy with the outcome of an election and wants to overturn it, and the media and everybody pretty much inside the Washington establishment is all in on this effort. Meanwhile, there really was collusion between Hillary Clinton and the Russians in preparing the Trump dossier. Meanwhile, there was a rigged election. The democratic process was rigged during the primaries to secure more delegates for Hillary than Bernie Sanders. The FBI was not permitted to investigate the DNC computer that had been hacked, and the guy who was okay with that was the Mueller investigator who had to be let go because of anti-Trump bias. Obstruction, genuine criminality, collusion? It all happened on the Democrat side, and I haven’t even gotten to the Uranium One deal, with the Clintons profiting and enriching themselves over the sale of a percentage of our uranium supply to Ukraine. That was coordinated with Russia as well. The Clinton Global Initiative? All of the collusion, all the things they’re trying to get Trump on, the Democrats did. I’m frosted over this, and everybody ought to damn well be. RUSH: Now, friends of the Flynn family — why do you think Flynn did what he did? What have you heard that explains Flynn admitting and copping the plea that he lied to investigators? What’s the Drive-By Media telling you? They’re telling us that he felt abandoned by Trump and he’s so hurt by that. He was Trump’s original supporter, he was loyal to Trump, he did everything Trump asked, he helped Trump win the nomination. Trump has thrown him overboard and so Flynn is gonna drop the dime on Trump and Jared and Ivanka and even Barron for doing whatever he did to the swing set. He’s gonna unload on all of them, right? That’s not what Flynn’s family and friends are saying. Friends of the Michael Flynn family say he entered into the plea agreement because he has been broken emotionally and financially, that his family could not face another two to three years of this. And what is “this”? “This” is Flynn as a reprobate, degenerate, lying scumbag every day in the media for two to three more years. They just couldn’t put up with it. They were going after Flynn’s son as well, and Flynn wanted to protect his son, so he copped the plea to stop them from also trying to destroy his son. Because if Flynn hadn’t copped the plea they wouldn’t have let go of him until Trump is out of office. Believe you me, this is gonna go on for as long as Trump is in office. They wore Flynn down. This guy wore the military uniform in this country. He was a deep patriot. He ran the defense intelligence agency, and look at him now caught up in this massively powerful deep state federal justice system that has been corrupted in this case to get rid of somebody the deep state doesn’t want there, Donald Trump. Flynn’s sister and brother have started a legal defense fund to pay for his attorney. I know he lied. He lied to Trump. And a lot of people are trying to figure out why. He knew he was being recorded. DIA guy. He was talking with the Russian ambassador. He had to know that they were gonna catch him in the surveillance of the Russian ambassador. I have no doubt in his mind what he was doing was in loyalty to Trump. He was one of the first. He and Jeff Sessions were one of the first. And look, it’s not just Flynn. If they could get rid of Sessions they would, too, and teach him a lesson. I need to issue a small correction on the case of Peter Strzok. Peter Strzok was the FBI’s deputy director for counterintelligence. He oversaw — this is key, now. Strzok — by the way, I’ve heard both pronunciations. That’s why I’m using both names. It’s either Peter Strzok or Peter Strzok. But I like the alliteration of Strzok because Strzok did strike. That’s what Strzok did. Deputy director, counterintelligence. He oversaw the investigation into Hillary’s email server and we know what happened there. Zip, zero, nada. It was Strzok’s office that decided the DNC did not need to give the FBI their servers to examine after the Russians had hacked ’em. Strzok seems to have been one of the agents who interviewed Hillary. Strzok was also central in the discussion about prosecuting Hillary, especially with regard to intent, which of course they said they couldn’t find, which is not even required under the law. Strzok was one of the key players who helped draft Comey’s statement on July 5th that exonerated Hillary. And on top of all of that it was Strzok’s office that received and handled any attempts at verifcation of the Trump dossier. This Strzok is all over everything! And it was discovered that he was sending anti-Trump tweets and emails to people while he was on Mueller’s team doing all of this so-called investigating. And Mueller found out about it. The error I made, I said he was sent packing. He wasn’t. He got Brian Rossed. He got moved down. He was demoted, but he’s still there. Strzok may have been the agent who offered to pay Christopher Steele to write the Trump dossier. And it was Strzok’s office that was the source for the FISA warrant request to spy on Trump’s aides. Strzok’s supervisor was deputy director Andrew McCabe, who should have been canned along with Comey. But who Rosenstein wanted to keep. You know, folks, again, I have to stress, we wouldn’t be where we are without the totally fabricated, not a shred of evidence to even allude to Trump-Russia collusion. There is not any evidence. There never has been any evidence. There wasn’t any evidence. They tried to manufacture evidence with the Trump dossier. All of this literally made up, and none of the rest of what’s happened, Flynn’s lies, Mueller’s investigation, none of it would have happened if it weren’t for all of that being made up. None of this is legitimate. All of this is based on a lying premise that Trump colluded with Putin to steal the election from Hillary. And everything that’s happened since then occurs as process crimes, meaning crimes that have occurred during the investigation of something that didn’t happen, that they knew didn’t happen. That’s the kicker. They knew there wasn’t any of this collusion. We know it from that book about the Hillary campaign. They revved this up 24 hours after she lost. Remember all the times Obama debunked Russia collusion is impossible and impractical all during 2015 and 2016? They knew! Folks, there’s never been any “there” there on this. We’ve had a year and a half of lying, fake news that has led to a distracting investigation, media investigation, congressional investigations, for one reason: to stop Trump from implementing his agenda and to hopefully get rid of him. This is the Washington establishment, the ruling class, the deep state, whatever you want to call ’em, this is how they keep and protect their turf. And they have been in the process here of attempting to overturn a duly constituted election that took place in November of 2016. So, yeah, I mean, I’m livid about it. I’ve been livid about it since it began. You’ve got these brain-dead left wingers that buy all of this. Remember the Trump travel ban, all of these things that the courts, the leftist courts have bottlenecked and stopped? All of this. None of this has been legit. And yet like everything else, when it all happens people on our side accept the premise and then start debating it intellectually. Like climate change. Climate change needs to be thrown back in their face instead of our scientists trying to prove it isn’t happening. That accepts the premise. Everybody accepted the premise that there might have been Trump collusion. Well, not everybody, but enough people did. You get my point. You and I didn’t, but the premise should have been thrown and stuffed right back down their throats. But of course the Never Trumpers wanted the premise to be true. That meant a lot of people on our side were trying to hope that this thing actually had some validity to it. It’s the power of the deep state. RUSH: By the way, this Strzok guy? The anti-Trump texts and tweets that he was sending? He was sending them to his mistress! And all they did was demote the guy, if they really even did that.